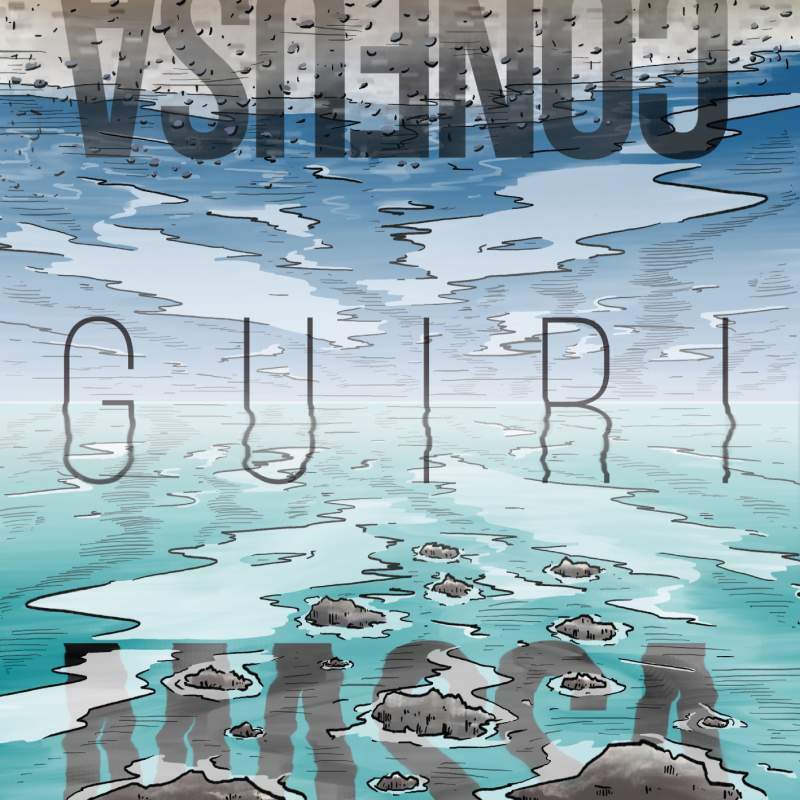 Electronic post-punkers Massa Confusa are releasing their brand new Guiri EP on Friday 19th April with a launch show, alongside Mouses and Casual Threats, at Head Of Steam, Newcastle. The driving force behind the project, Ally Morton talks identity, overpopulation and consumption (among other things) as he explains the inspiration and creative processes that have gone into his latest work. I’m not one for openly explaining lyrics and tracks, but our new EP Guiri reflects a big change in my life both musically and personally, so I’ll give it a shot. For those of you who don’t know us, I used to be based in Newcastle but in summer 2017 I relocated to San Sebastián on the North Coast of Spain, or should I say, Basque Country. Parts of the tracks themselves were demoed a year and a half or so prior to the move with bassist Matt O´Brien, and then the final composition and production was completed as part of my new life here. My brother Tony Morton provided the final mix as he has done with all of my releases to date. I asked Jackie Purver of Pit Pony and Retriever to contribute vocals to this track over the Internet. She has contributed to various Massa Confusa songs in the past and to my Five Pence game project too. She never lets me down. I never told her the meaning of my lyrics and I never asked anything about her response i.e. the lyrics in the vocal tracks she sent me. The same is true of Superseder mentioned below. I think this element of mystery about how lyrics and the sound of music can mean things to different people is what makes collaboration so interesting. Compositionally, this track has taken on a new form live. Here in Basque Country, I perform solo with a setup consisting of a laptop, a looper pedal, guitar effects pedals, a guitar and a mic. It’s almost like Massa Confusa remixed. The songs are free to loop, expand and evolve away from the restrictions of a pre-recorded backing track that me and Matt meticulously and robotically were accustomed to. For the launch gig at Head Of Steam, we will perform together using this new setup. On recording I’m not happy with my vocals in the verse, but felt that I had done enough takes of it and also felt that perfecting vocals is done too often these days. Therefore, I tend to remove my vocals when performing this track live and instead focus on Jackie’s lines instead. ´I´d like to see you try, I´d like to see you cut those ties´, words that for me speak of a world reliant on industry and globalisation, and more evident from my verses and the video, the problems of overpopulation and animal consumption. I’m not one to force my vegan beliefs on another person, but I decided to concentrate on this theme in the video. It has since become the danciest track on the EP, particularly in a live setting anyway. This was the first track I completed here and revolves around Matt´s bass riff which creates an almost trip-hop vibe. I moved in July 2017 and every August in San Sebastián there’s ´La Semana Grande´ (literally translated as ´The Big Week´), a week of primarily free events, including live music, street theatre, children´s activities, fireworks, and of course partying. This attracts tourism, and due to the relatively small size of the city and the areas that events are held, leads to overcrowding. As a result, some locals choose to leave the city during this time to get away from it all. Another problem is that some landlords only rent out to tourists in summer i.e. some tenants rent from September to June, then have to find somewhere else to live for July and August as the landlords want to double their rent for these two months. During summer you will also see anti-tourist graffiti sprawled around with phrases like ´tourist go home´ and ‘tourist not welcome’. Of course not everyone is anti-tourist, but I wanted to make a track around the idea of how even though I am a resident here, I can never lose my British identity, and to some people, based on my appearance, they automatically assume that I am a ´guiri´ (Spanish for ´tourist´, sometimes expressed in a neutral tone, or a negative tone when referring to ´stereotypical tourists’ for example) when of course I am as much a part of life here now as anyone else. I also built this track around Matt´s bass riff, but wanted to create a piano loop which would form the basis of the song. This is because although I use underlying synth in a lot of Massa tracks, I generally don´t use piano. In fact I tried it once some years ago when demoing ´Obsessive Computive Disorder´ EP but I wasn´t happy with the result. Lyrically, the track is about the horrors of terrorism and makes references to the vehicle terror attacks in Barcelona, which happened in August 2017 (I had only been living in Spain for 3 weeks at that point), and the Manchester concert bombing in May 2017. With the recent New Zealand mosque attacks in mind, this song has an eerie resonance for me. As mentioned above, Jackie Purver also contributed vocals to Superseder. I originally intended it to be a doom song. It was going to be long, dirtier in tone and very repetitive but with lots of subtle variation. I later decided it worked better at a shorter length. The term itself makes reference to ´supersedure´ within beehives, which is when an old or inferior queen bee is replaced by a young or superior queen. In terms of theme, it’s an extension of Desension, which I recorded for our 2016 album Two Man-Machine, in which I reference workers buzzing around a hive. In Superseder, however, I also refer to ´seeders´ and ´leechers´. In the context of the song I suppose the ´seeders´ are the sharers who we respect and look up to, and those who contribute to society and promote positive values, whereas the ‘leechers’ are the opposite, they are the apathetic, and the corrupt politicians and business people that have a selfish view of the world and only take and consume for themselves. Some tracks I produce work well live and others don´t, but I’ve yet to test the water with this one. The song stemmed from the idea of ‘homographs’, which are words that have the same spelling but also have different pronunciation and meaning e.g. ‘tear’ (paper) and ‘tear’ (cry). The lyrics essentially began as deliberately nonsensical but I later wanted to tie in the theme of mental health. I therefore contrasted the seemingly nonsensical verses, the times when your mind lacks clarity, rationality and reason; with a more hopeful chorus of resolution ´If every day is the same, you’ve got to change it, think about what you do, and rearrange it’. I asked Jackie to sing this chorus too to give the track a lift.